Most women, at one time or another, have heard the phrase "breast calcifications." But what are they? Are they dangerous? And does a diagnosis of calcifications mean that the patient has cancer? First of all, if a mammogram indicates the presence of calcifications, do not panic. Many women have calcifications in their breasts, which is one reason to remain calm until more information is known. Doctors can usually tell, from what those calcifications look like, whether they’re benign, whether they could use some “watchful waiting," or whether an immediate biopsy is called for. What calcifications 'look' likeCalcifications appear as “specks” on your mammogram, which is why they’re nearly always picked up. If the specks are large (say, more dot-like than speck), they’re called** macrocalcifications**, and the radiologist knows from experience that they’re nothing to worry about. About 50 percent of women over the age of 50 have macrocalcifictions in their breasts. Occasionally, what appear to be calcifications are simply flecks of talcum powder; for that reason, it’s wise not to apply body powder to your breasts on the day of your mammogram. 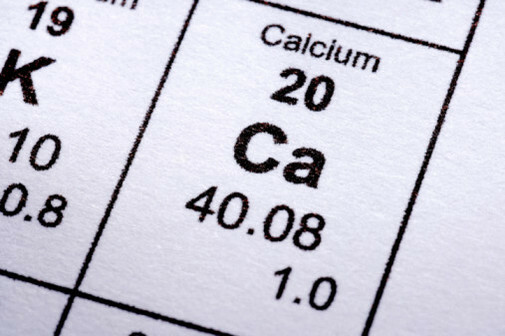 In most cases, though, calcifications really are simply pieces of calcium. As we age, our bones naturally shed calcium. Sometimes this calcium ends up in joints, causing arthritis; sometimes it circulates through the blood vessels, where it can cause hardening of the arteries; and sometimes, flecks of calcium — usually these larger macrocalcifications — show up in our breasts, where they don’t cause any issues. Smaller calcifications, ones that look like tiny flecks of dust, are called microcalcifications. Again, most of these are benign. But occasionally, they can signal the presence of cancer. For this reason, your doctor may often order another mammogram — this one including a magnified view of the microcalcifications, so the radiologist can get a better read on them. Microcalcifications: Further study required?Keep in mind microcalcifications, like macrocalcifications, might be simply flecks of calcium shed by your bones. (This is the likely scenario when they’re spread all over your breast in a random pattern.) However, if microcalcifications are seen in a dense, tight cluster, or in a string-like pattern, they’re termed suspicious, and will probably be biopsied. Why? Because microcalcifications that show up like this may be clustered either in a milk duct, or in a breast lobule, which are the two places breast cancer begins. These tiny calcifications are considered a possible, “shadow” of cancer — but, as with any shadow, looks can be deceiving. It’s natural to worry if your doctor orders a biopsy; but about 85 percent of breast biopsies are negative — no cancer. So even if your mammogram shows microcalcifications, it’s more than likely they don’t signal cancer. Furthermore, if they do, it will be a signal of an early and/or non-invasive cancer. Finally, there are microcalcifications that are suspicious, but not suspicious enough to biopsy. These are usually random, lone specks, or just two or three in a specific area, not in any particular pattern. In this case, your doctor may advise you to have another mammogram in six months, to see if anything has changed, e.g., if there are more microcalcifications, and/or if they seem to be forming a pattern. Generally, you’ll repeat this six-month screening for up to three years, until the doctor is convinced the microcalcifications are indeed not changing, and are benign.